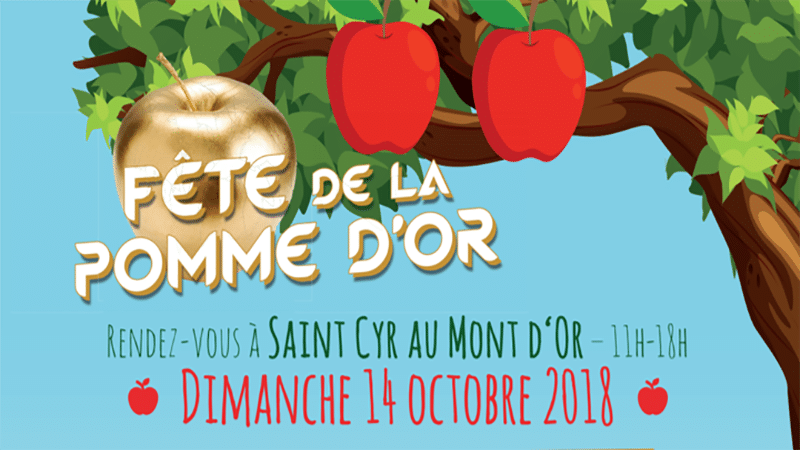 On Sunday October 14, the village of Saint Cyr au Mont d’Or will be hosting the unmissable Fête de la Pomme d’Or. Come and taste delicious apple tarts, black sausage and more, and try hand pressed apple juice in a friendly and musical atmosphere. A great team is working to make sure Sunday October 14 is the new home of the Fête de la Pomme d’Or, in the centre of Saint Cyr au Mont d‘Or! It is an occasion where you can come and taste and buy apple tarts, black sausage and apple juice. Local producers will be on hand to talk about their products and production methods and L’Harmonie et la Band’ Apéro of Saint Cyr au Mont d’Or, among others, will be making sure the party goes with a swing! Several exhibitors will also be there, including Ferme Perraud – the last farm in Lyon. ‘Draw me… an apple!’ In the lead up to the fete the school children of St Cyr have been paying artistic tribute to the ‘noble’ fruit. And on Sunday they will be proud to see their drawings and creations on display.